Every celebration is better with cake, but making something special can take time to prepare, and buying a cake from a bakery can cost a pretty penny. Luckily, most cakes freeze beautifully, especially when they're unfrosted. When you find yourself with a bit of extra time, choose one of these delicious cakes to bake and then place it in the freezer until you're ready to serve. When that festive occasion arrises, simply let the cake thaw and frost and decorate as normal. You can freeze most cakes up to 3 months before enjoying. Even if it's not a birthday, holiday, or other festive gathering, a classic chocolate cake is a welcome dessert that's sure to be devoured in no time. This recipe is somewhat simple, but produces a rich tasting cake with a moist crumb. Once the cake layers have cooled, wrap them well in plastic wrap or waxed paper and foil, and then label and freeze. Remove from the freezer and let thaw on the counter for 2 to 3 hours, then fill and frost with chocolate frosting or sweetened whipped cream. A white layer cake opens the door to a whole lot of filling and frosting flavor options, so it's perfect to have at the ready for almost any special occasion. This recipe makes a light and fluffy cake with a satisfying smooth texture. It calls for just eight ingredients, but you need to measure each very carefully to achieve the ideal results. Let the cake layers cool completely on a wire rack, then wrap well, label, and freeze. Remove from the freezer and let thaw on the counter for a few hours before filling and frosting with whatever toppings you prefer—raspberry jam and some buttercream frosting are good choices. The secret to this gorgeous and impressive all-white cake is that it's made with a cake mix, simplifying the process. You can make this cake in stages, baking and freezing the layers up to 3 months ahead, and then preparing the mousse and frosting the day before your celebration. The finely ground white chocolate gives this cake a very tender, velvety texture. To assemble, thaw the layers on the counter for 1 to 2 hours. Make the filling, white chocolate topping, and frosting and fill and frost the cake as directed in the recipe. Store this cake in the refrigerator until ready to serve. 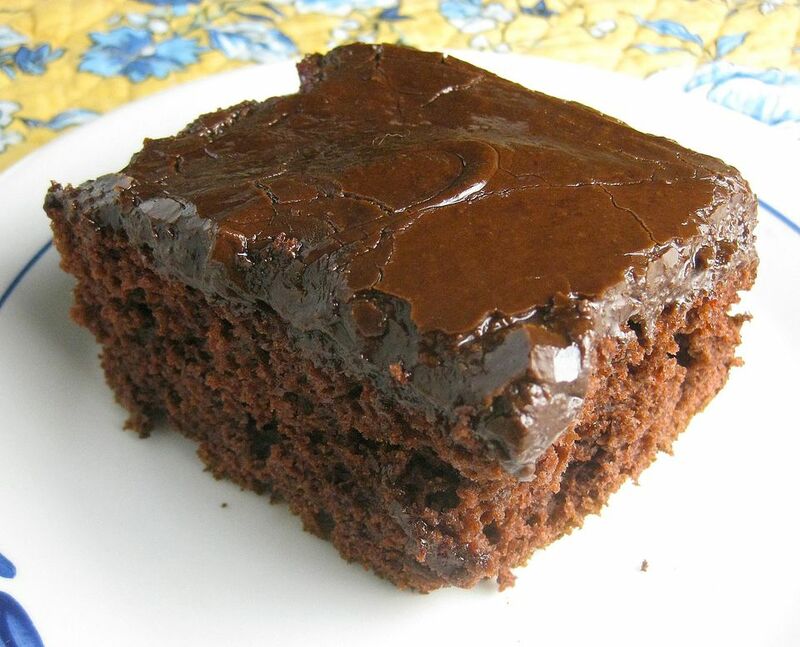 The chocolatey richness in this cake comes from the use of both cocoa powder and unsweetened chocolate, and the tenderness is due to the addition of buttermilk. Bake this cake ahead of time and let it cool completely; do not frost it before freezing. Wrap, label, and freeze up to 3 months. To thaw and frost, let the cake stand on the counter for 2 to 3 hours; then prepare the frosting as directed in the recipe and pour it over the cake. Let the cake stand for about 1 hour to cool, then slice and serve. This super simple cake is made from a cake mix and canned cherry pie filling. The fruit makes the cake nice and moist and adds a rich and sweet flavor. This is one cake you want to frost before you freeze as the frosting is poured over top while the cake is still warm. Once the cake has cooled completely, wrap, and then place in the freezer. Let stand at room temperature for 2 to 3 hours to thaw before serving.